These have been here since 4/13 - I figure whoever filled them forgot to report them to DPW. Under the Mass Pike overpass on Deernolm. EXCUSE ME - THIS IS A PUBLIC FORUM.... WHAT WAS WRONG WITH MY COMMENT??? 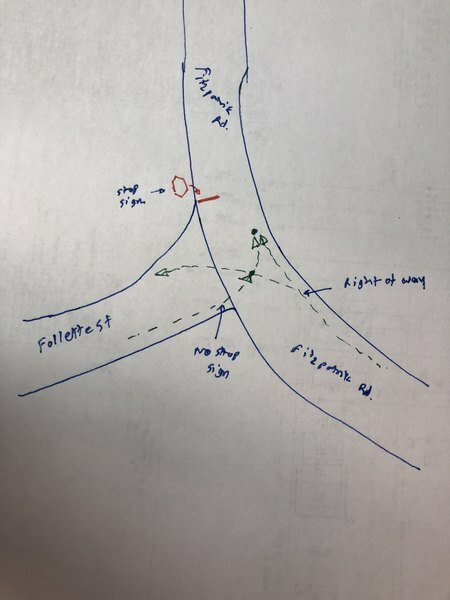 ONCE AGAIN - AND BEFORE YOU GET A CHANCE TO BLOCK THE "PUBLIC COMMENTS" - I AGREE - THIS IS A DANGEROUS AREA, AND ATTENTION SHOULD BE GIVEN TO MITIGATING THE INCREASE IN POST DEVELOPMENT FLOW - BEFORE A FATAL ACCIDENT OCCURS!!!!! There is a dead animal (opossum) since yesterday afternoon on the main road in front of the house 187 Worcester Street, North Grafton, MA 01536. Please let me know whom to connect with to clear the same. Thank you. The dead animal has not been removed. Most people are going through the driveway while walking to avoid the animal on the shoulder. It is also a health issue as the animal has been there since sunday. Please attend to this. 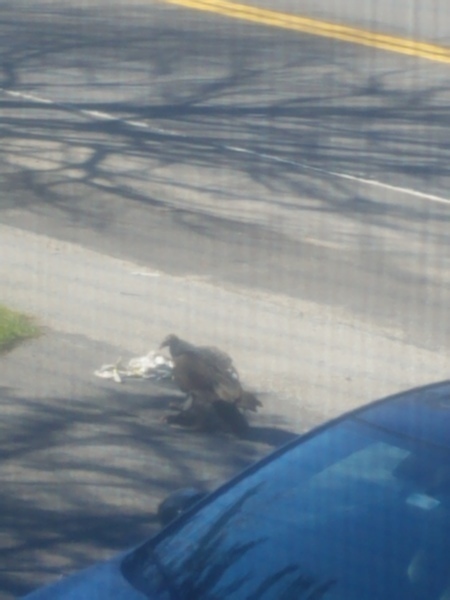 A vulture has dragged it to the driveway from the shoulder and is currently devouring the dead animal. I don't know how to react, I think nature is playing the role of disposing of the dead opposum. Thank you for reporting your concern to the Town of Grafton via See, Click, Fix. We have reviewed the information you provided our staff and will be investigating this issue further. The Town of Grafton staff will provide regular updates here as we work towards resolving this issue. You will be notified via email about our progress. Thank you again for helping us improve our community! Thank you for your e-mail. The Town will be doing drainage work in this area soon. Once work had been completed, the street will be swept. After that, any remaining potholes will be filled. Bad pothole on Old Westboro Road before Glen Street heading west. The 35mph speed limit sign is laying on the ground at the corner of Hilltop St and Worcester St.
Catch basin collapsing, large hole in front of it and it’s the kids bus stop location. Thank you for your e-mail. This catch basin is scheduled to be rebuilt within the next month. I think there is a Stop sign missing on follette st on 3 way junction between fitzpatric rd and follette st. There is only one stop sign on fitzpatric Rd. I am not sure for requirement of stop sign but its needs to be review. The only stop sign at that intersection is coming from Fitzpatrick eastbound. Westbound going onto Follett St has the right of way and no stop is required. My confusion was that i was coming from follett st going to westbound fitzpatric rd and someone was coming from fitzpatric westbound. I was not aware that he will go to follett st or he will go on westbound fitzpatric Rd. There is no stop sign on follett st so i was confused that should i stop or no ? Thank you for your clarification. The wooden rails on the bridge at the corner of Merriam and George Hill have rotted away. Issue 3326315 has been marked as a duplicate of this issue. Can you stop folks from parking on/in the street during and after a snow storm?